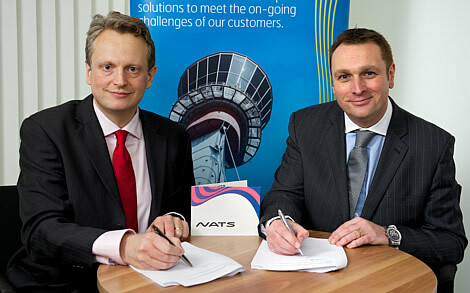 NATS, the UK’s leading provider of air traffic services, together with partners Siemens Postal, Parcel and Airport Logistics, McLaren Applied Technologies and AVTECH Sweden AB, have won a capacity management contract with Heathrow Airport Limited (HAL), which is to run for four years. The contract will deliver an enhanced capacity analysis capability, which will allow Heathrow Airport to rapidly assess proposed changes to the airport infrastructure. This will improve the schedule planning process; assist in making the airport more efficient; and help Heathrow deliver its operating schedule to plan. The airport will have access to a set of enhanced capacity analysis tools, specifically configured to Heathrow and the unique challenges it faces, via a web-based portal. This will allow the airport planning and operations teams to assess the impact of various factors on performance, such as taxiway closures, apron restrictions, stand closure and reallocation, and air traffic control/ground movement procedures. Other problems such as schedule delays and weather conditions can also be incorporated. This is the first operational contract for this capacity management solution and while the initial delivery has been tailored to Heathrow’s particular specifications, the core system can be tailored for other airport customers in future. The combination of several robust analysis tools, together with the speed of delivering results and the expertise of all the partners makes this an innovative and ground breaking tool, which will allow airports around the world to increase capacity and improve overall performance. Geoff McGrath, Vice President, McLaren Applied Technologies said: “For decades McLaren has led the Formula 1 world in the use of advanced simulation technology to gain a competitive advantage and help us win races. This world leading expertise is now being used to improve the efficiency of very complex systems in a range of industries, in this case by providing cutting edge decision support tools to be used at Heathrow Airport.